Greetings! Hello! I am alive! While I was still working on blogging all about baby coming, baby made her appearance! I'll talk more about her birth coming up, but right now I wanted to catch up on my posts that I already had ready, just not written and scheduled. Plus, I have a new little thing coming up as it's time to work on that baby weight, I don't have a ton to lose [though I don't think anyone has every had to lose a whole TON] but talking about it and checking in somewhere really helps me stick to it. Plus, my weight loss doesn't have any gimmicks. Hooray! No expensive products necessary, just diet and exercise. 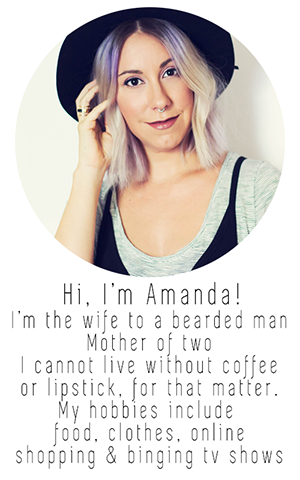 But maybe, just maybe, I can make something of it, share some recipes and tips that help me. So, to the baby bag! I'm going to tap into my sleep deprived brain here and try to remember what I wanted to talk about here. I already showed you my bag and what was in it. I did actually get to carry that bag to the hospital and most of all I wish I had more snacks. Go figure. Birthin' babies makes a gal hungry, so does breast feeding them. So the first thing you need is a bag, of course. 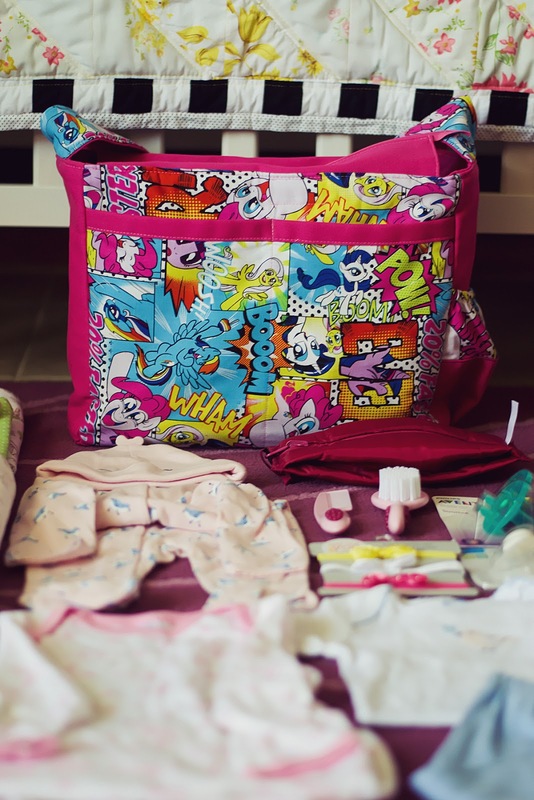 I would say there are NO wrong choices when it comes to choosing a diaper bag. I had it a little easier and I didn't have to pick one! As soon as my friend, Mary, found out a baby was on the way, she began plotting to make a pony bag. The announcement that we would be having a little girl cemented that plan. I could not be happier! I get compliments like crazy on my Pony bag, plus it has proven itself durable and useful. I was showing it to another friend that recently announced she is expecting and she loved that it's design would make it a great overnight bag for the little lass in the future. Hooray for Grandma's house! Otherwise, pick what you like. 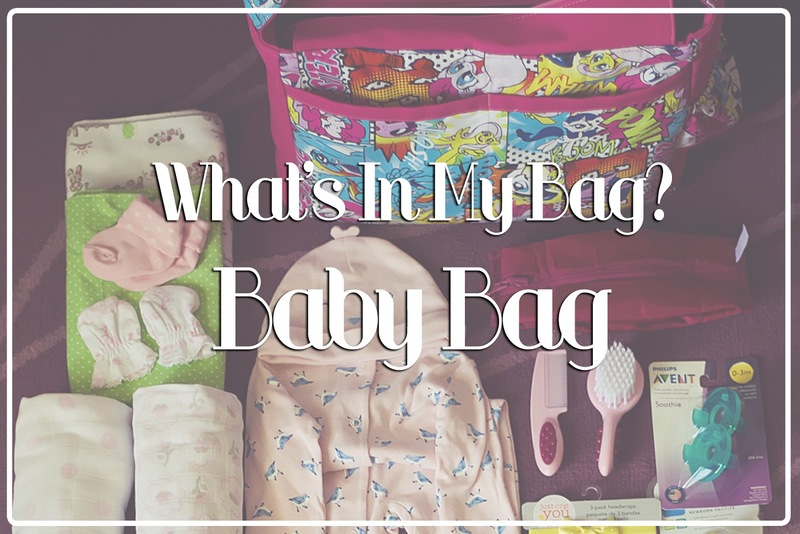 Baby bags can get expensive QUICK, but set a budget for what you want and shop around. Prior to knowing about my pony bag, I was eying these to die for leather bags... until I saw the $400 price tag. I don't even buy purses that expensive, I wouldn't do it for something that's going to carry baby goods and in the future, toddler goods. I don't want juice in a $400 bag, but a small child will need juice. Pony bag will be much easier to clean, granted, I still hope we don't get juice spilled in it. That's it! You'll notice I do not have diapers or wipes. The hospital will supply diapers and wipes during your stay, in my experience, it has always been pampers. So you do not need to bring any unless you are A.) Set on using a specific brand or B.) 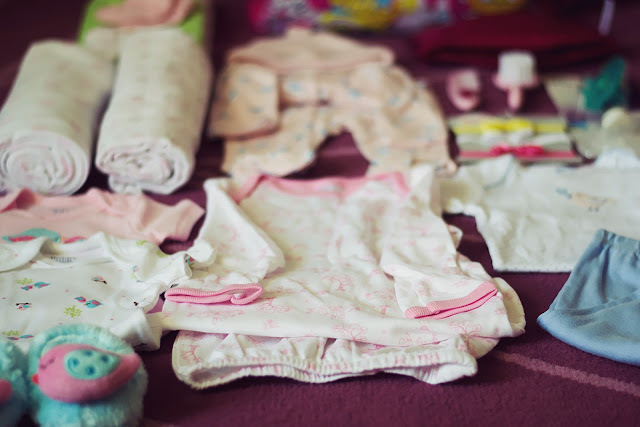 Cloth Diapering. I have no experience with cloth, except I do know that sometimes small babies don't fit them in the beginning. Just something to consider and plan for just in case. Now, if I could go back and change anything, I would add to the bag. More onsies! Our stay was a little longer than I would have liked, so extra onsies had to be picked up. More mittens! She had scratchy little nails and loved to run them all over her adorable little face, she needed all the mittens we could get. That's actually it, that's the only stuff we needed more of, so not bad. One little thing we had brought to us during our stay, were these swaddlers by Summer Infant. They're called SwaddleMe and I loved them so much. I had a hard time keeping the blankets tight on her, but these were so easy to put on her and kept her happy [Thank you, Grandpa!]. I was pretty sad when we outgrew them, mostly because she wanted to move and wiggle, so we stopped swaddling. That's my baby bag! Everyone is going to tell you different things you need and don't need, just go with your gut. Everyone has different experiences, different needs. I took pretty much the bare bones because I did not want to haul a bunch of stuff to and from the hospital. I'm simple, I like to keep it simple. I'll tell you all about Little Miss' arrival soon, as she was as stubborn as I predicted, oh the fun!